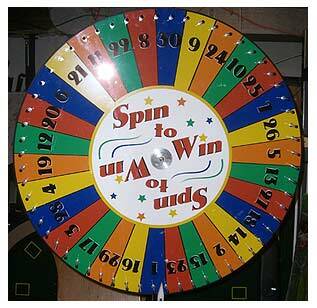 Our spinning prize wheel has numbers associated with correlated colored sections, great for raffles, wheel of fortune games, or casino events. Spin to win and see where your numbers fall! 4’ L x 4’ W x 6’ H.